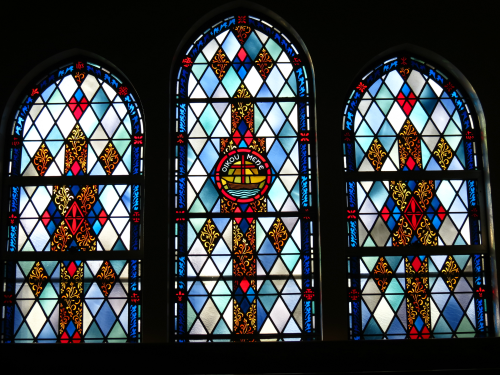 The story of First Christian Church of Covington, Kentucky begins almost with the start of the town itself. Covington lies at the point of Northern Kentucky where the Licking and Ohio Rivers meet and flow westward. The town grew slowly and casually. In 1819 a small log schoolhouse was built on a corner of the public square and became the meeting-house for most community activities. By 1830, the population had grown to seven hundred and on February 24, 1834, Covington became an official city. The Campbellite movement developed during these times after the great revival in Cane Ridge in 1801. The movement changed the way Christians viewed denominations. People wanted to be considered Christian or a Disciple, rather than a denominational name. There were enough Disciples in the city to gather together in the house of James Arnold for a two-day meeting in 1832. The cholera epidemic dispersed the new congregation in 1833 but they reformed in 1840. An inspiring week of prayer and study gained fifteen new members. Arnold personally built the first church building in 1843 on the south side of Third Street, between Madison and Scott Streets. The new building was built over twenty years later, 1867, and the work of the church moved steadily forward. 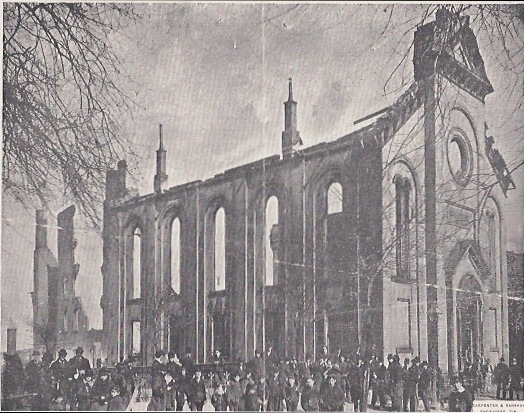 An early morning fire devastated Covington on March 5, 1893. The church building was a complete loss. Those who worshipped there were discouraged but did not lose hope. The congregation immediately began to plan a new and greater structure. The present generation claims downtown Covington as its home. We recall those early days of struggle and rise, with God’s help, to meet the ever-present needs of the community in which our forebears so ably built.